Xavier de Maistre is generally fêted as the artist who has managed to liberate the harp from its reputation for wonderful but very soft sounds, and establish it as a solo instrument in the concert hall. 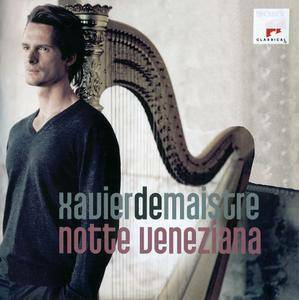 On his album "Notte Veneziana", the internationally successful harp virtuoso plays well-known concertos by the Venetian composers Vivaldi, Marcello and Albinoni in new arrangements, combining them with original compositions for solo harp such as the sonata by Giovanni Pescetti, Godefroid’s stunning set of variations on the popular tune “Carnaval de Venise”, and “La Mandoline” by 19th-century composer Elias Parish Alvars. Xavier de Maistre's aim is to make the listener forget completely that most of the Baroque concertos heard here were not originally written for the harp, but for different melody instruments. He finds it fascinating to bring out new timbres in the arrangements, some of which he pens himself. 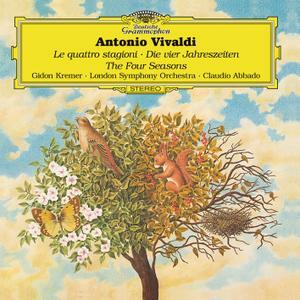 Vivaldi's famous concerto "Winter", in particular, seems to him to be predestined for playing on the harp, and his interpretation does indeed present this often-heard work in a totally new guise. 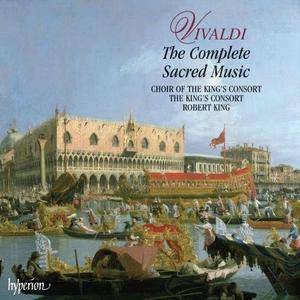 What can anyone add to the praise that has deservedly been heaped on Robert King and the King's Consort's 11 discs of the complete sacred music of Vivaldi? Can one add that every single performance is first class – wonderfully musical, deeply dedicated, and profoundly spiritual? Can one add that every single performer is first class – absolutely in-tune, entirely in-sync, and totally committed? Can one add that every single recording is first class – amazingly clean, astoundingly clear, and astonishingly warm? One can because it's all true and it's all been said before by critics and listeners across the globe. Can one say that every piece is a masterpiece – that every piece is filled with the consummate skill, the irresistible joy, and the radiant spirituality that was Vivaldi's specialty? One can because this, too, is true. From the well-known Gloria, Magnificat, and Stabat Mater to the little known In furore giustissimae irae, O qui coeli terraeque serenitas, and Cur sagittas, cur tela, truly every work is a masterpiece and anyone – from the deeply devout to the deeply doubtful – will love these works, these performances, and these recordings if they love music. 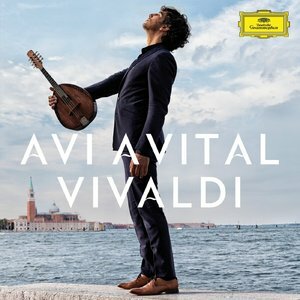 Grammy-nominated classical mandolinist Avi Avital is an artist who pushes at boundaries and defies expectations. With his current recording, however, he brings the mandolin home, to the music of Antonio Vivaldi, the beloved Venetian composer whose Mandolin Concerto forms the cornerstone the Old Testament, says Avital of the instrument's repertoire. This milestone of the Arcana catalogue returns with new artwork, new catalogue number (previously A330) and a new cover featuring ‘Boy with Flute’ by the Venetian painter Domenico Maggiotto. 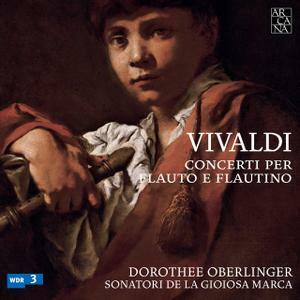 All the recorder concertos on this CD were written expressly for flauto or flautino and show the imagination, delicacy, freshness, virtuosity and sometimes even melancholy, which Vivaldi put into his writing for this instrument. Of all the world-renowned violinists born in the decade after World War II—an exclusive club that includes Pinchas Zukerman, Pierre Amoyal, and Kyung Wha Chung—Gidon Kremer has taken the least- expected path to lasting fame. Today he is best known as a passionate champion and performer of modern music, the founder of an iconoclastic chamber orchestra in his native Latvia, and a public critic of the glitzy marketing of classical music. 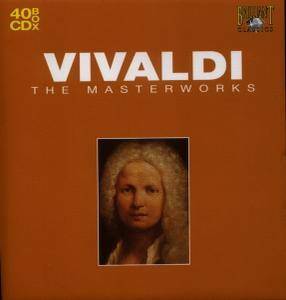 This 40 CD box set complete works of Antonio Vivaldi is one in a series of ten entitled `The Masterworks' issued on the Brilliant Classics label. 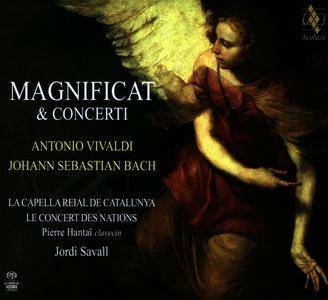 JS Bach and Vivaldi s' Magnificat's: desert island repertoire to illustrate the splendour of the orchestra Le Concert des Nations and choir of La Capella Reial de Catalunya. Jordi Savall offers a vivid and striking performance of these two masterpieces, recorded live at the Royal Chapel in Versailles in 2013. Each of them is introduced by a concerto by the same composer in the same tonality. The superlative performance of Pierre Hantaï in the Concerto BWV1052 is another jewel to the crown of this album. The bonus DVD features both Magnificats and Bach s Concerto. 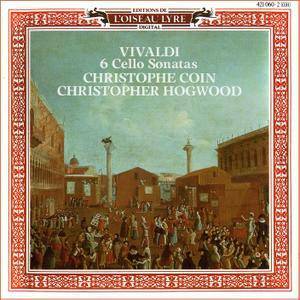 Vivaldi is greatly over-rated - a dull fellow who would compose the same form over many times. Such is the opinion of one of the great composers on the music of another great composer. Given the evidence of the present newly re-released complete Vivaldi cello concertos incredulity can be the only response to this assessment. But then Stravinsky was a man who voiced strong, often acerbic and sometimes outrageous opinions on virtually anything suggested to him. He had probably heard few, if any, of these cello concertos and irrespective would it have made any difference? 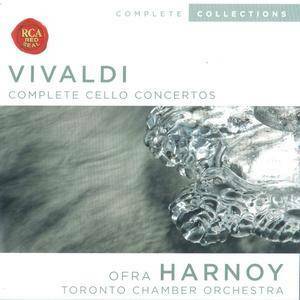 Nine cello sonatas by Vivaldi have survived. Six of them were published as a set in Paris in about 1740; that set, mistakenly known as the composer's Op. 14, contains the sonatas recorded in this release. The three remaining sonatas come from manuscript collections. All but one of the six works are cast in the slow-fast-slow-fast pattern of movements of the sonata da chiesa. The odd one out, RV46, in fact, retains the four movement sequence but inclines towards the sonata da camera in the use of dance titles. The music of these sonatas is almost consistently interesting, often reaching high points of expressive eloquence, as we find, for example, in the justifiably popular Sonata in E minor, RV40. Christophe Coin brings to life these details in the music with technical assurance and a spirit evidently responsive to its poetic content. Particularly affecting instances of this occur in the third movements of the A minor and the E minor Sonatas where Coin shapes each phrase, lovingly achieving at the same time a beautifully sustained cantabile.